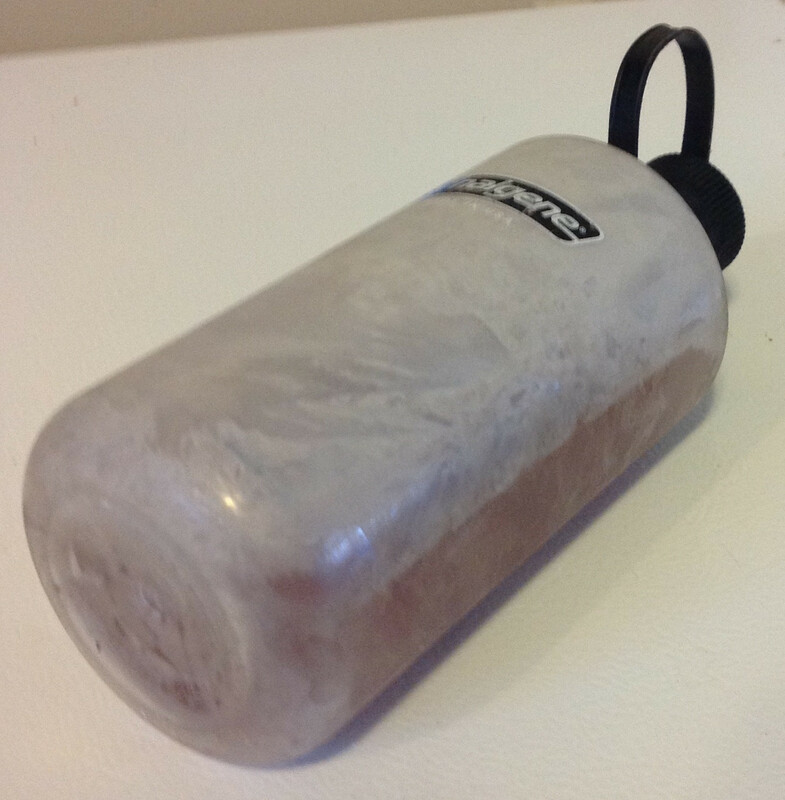 I like to take a frozen Nalgene bottle of water to my Bikram Yoga class. 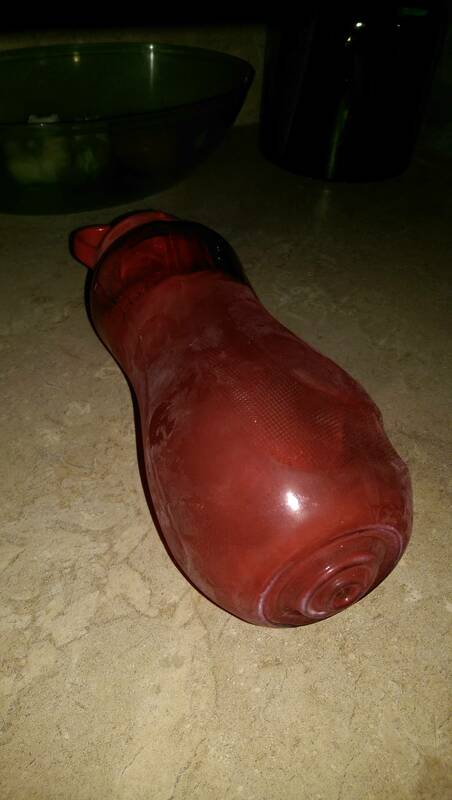 The problem is, every bottle I have used so far becomes deformed and, as can be seen in the picture below, the bottom bulges out making it difficult or impossible for it to stand upright until some of the ice melts and it pops back in. Eventually, the exposure to expanding substance over time causes the bottle to break. What can I do to freeze my water without deforming the container? You can't win in a battle against the laws of physics. 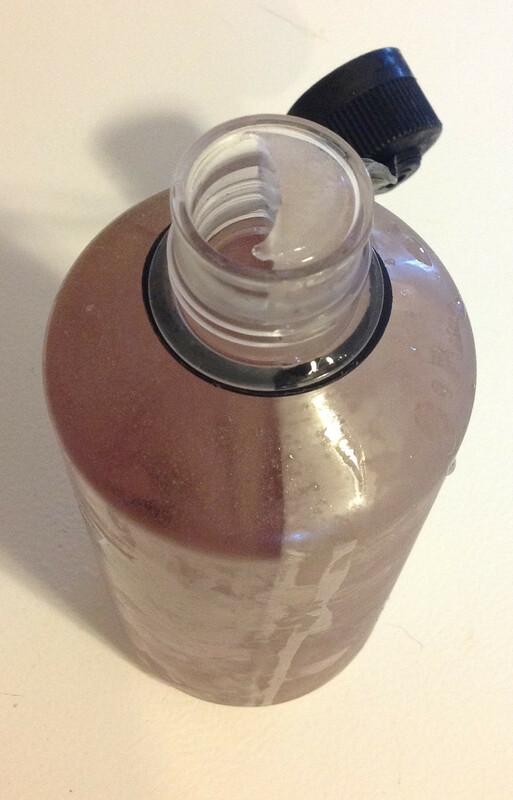 Water expands when it freezes, so you need to leave some room in your bottle for it to expand into. What I find works best is to fill your bottle just over half, then freeze it on its side. This will give the ice more room to expand than if you freeze it upright. When you grab your bottle from the freezer, top it up with cold water; the ice being frozen along the length of your bottle will rapidly cool the water, and you'll have a easier time getting water out when you want a drink. I have found that soda pop bottles are designed for higher pressure and don't deform as badly. Plus they are cheap to replace. In general a soda pop bottle filled to just the start of the shoulder won't break. Water freezes from the top down. In a tall bottle, water freezing at the top gets a grip on the sides, and so as the water freezes down, the expansion pushes out the bottom. Laying it on its side, and not quite filling it to the half way mark, the slab of surface ice is a wedge that can easily be lifted. In addition: If you freeze the water, then add ice water from the fridge to fill up the bottle, the resulting mix won't melt very fast. Finally, put the bottle in a thick sock and it will insulate it, keeping it cold longer. Put the barrel on a pallet. This allows the bottom to freeze as fast as the sides. Float 3-4 inches of styrofoam peanuts, or broken up styrofoam on top. This slows the ice formation on the top, and also weakens it. The core then breaks through the top when the pressure gets high, instead of pushing out the bottom. Don't freeze the bottle - fill it with ice cubes. Better still, don't use ice cubes, use ice sticks that fit in the neck of bottles. I would take one of the flexible bottles like the platypus brand and make sure to fill it only about 70%. You can not beat the physics: Water expands if you freeze it. If you have a flexible bottle and make sure it is not full, the water will be allowed to take its form without damaging the bottle. To be clearly on point: You can not freeze a water container without deforming it. You can actually blast rocks wiht freezing water. This is what happens in the Alps all the time and gives us those talus slopes of all kinds. If you are okay with taking a more "hands on" approach, then it works to put the water in and then when the top layer is frozen over, then you poke a hole in the layer so that the rest of the expanding ice is not stuck. Some container with the shape of conical (upside down) bucket is perfect for this. When it freezes, the ice should move upwards. Not the answer you're looking for? Browse other questions tagged water water-bottles or ask your own question.